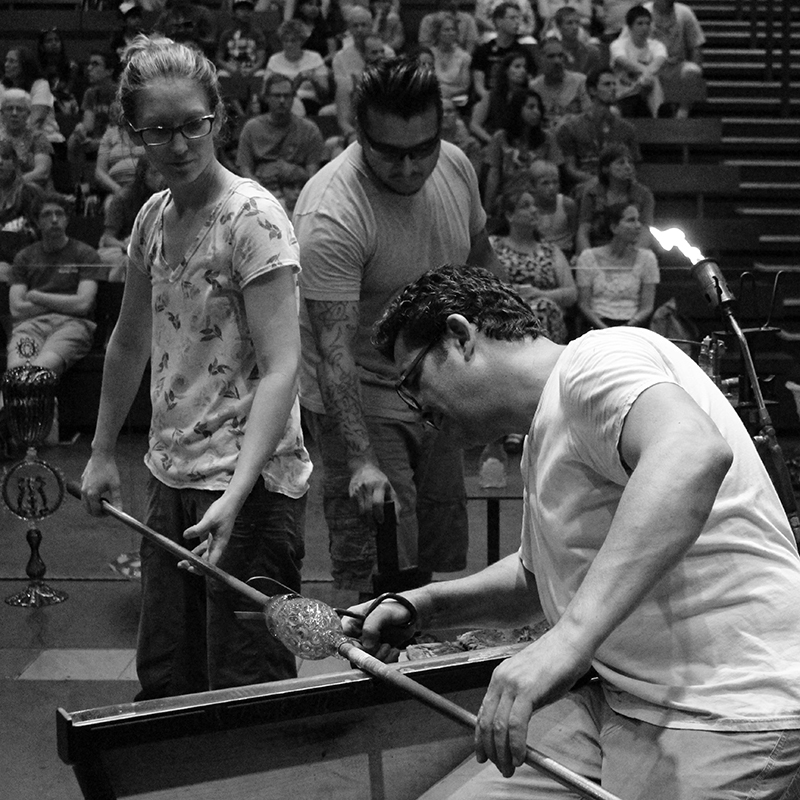 See guest artists Michael Schunke and Josie Gluck in live, narrated demonstrations in the Amphitheater Hot Shop February 27 through March 3. Collaborative partners since 2010, Schunke and Gluck are known for their intricate and beautifully formed goblets. Together, they own and operate Vetro Vero glassblowing and design studio in Pennsylvania. Michael Schunke founded his first company, Nine Iron Studios, in 1998. He has taught at many institutions, including the Toyama City Institute of Glass Art in Japan, Haystack Mountain School of Crafts, and Penland School of Crafts. His work is widely exhibited, and is in museum collections worldwide. Schunke has been teaching and working collaboratively with Josie Gluck since 2010. Josie Gluck was a member of Dale Chihuly’s and Lino Tagilapietra’s glassblowing teams before earning a Master’s of Fine Art in Designed Objects from the School of the Art Institute of Chicago. She has taught at Haystack Mountain School of Crafts, Cam Ocagi (Istanbul, Turkey), and Pratt Fine Arts Center. Gluck has been teaching and working collaboratively with Michael Schunke since 2010.